Giles Cory was born in England but came to Salem in the mid 17th century. Cory flourished as a farmer and would eventually buy up property around town. In 1676 Cory was brought in after beating to death a farmhand he caught stealing from him. Cory received a fine and was let go. As he got older Cory withdrew from society and mostly stayed on his farm. Cory’s wife, Martha had a checkered past by Puritan standards. In her twenties Martha had a son born out of wedlock from an affair with an African-American servant. Martha also had been married twice by the time the Salem Witch Trials started. So when she was accused of being a witch by two young girls the judges already had their minds made up. However, a month later her husband, Giles Cory was accused of being a warlock. Considering he had already killed a man public opinion was against him too. When Cory was brought to court to answer the charges he refused to speak. At 80 years of age he didn’t want the hassle of coming to court for the made up charges and refused to dignify them by answering them. By not entering a plea of guilty or not guilty Cory put the judges in a bind. Since Cory had not entered a plea he could not be tried. However, there had been a case in New York where precedent was set and a punishment of ‘Peine forte et dure’ could be given. Under ‘peine forte et dure’ Cory was taken to a field where he had to strip naked, lie on his back and have a large board placed on his stomach. Large rocks were piled up on top of him in order to get him to enter a plea. With hundreds of pounds on top him Cory refused to speak for two days. Finally on the third day, Sheriff George Corwin knelt down and asked Cory if he would enter a plea. Cory replied, ‘More weight’. A few hours later as he died Cory cursed Sheriff Corwin and the whole town of Salem. He was buried in an unmarked grave nearby. Three days after Cory died his wife, Martha was hanged. Four years after Cory cursed George Corwin the notorious Salem Sheriff died mysteriously of a heart attack at the age of 30. Since then other sheriffs in Salem have died fairly young or suffered from blood or heart ailments. In 1801 the large field where Cory was pressed and hanged became the Howard Street Cemetery. The ghost of an old man has been seen wandering through the cemetery from time to time. However, Cory’s ghost is seen as a harbinger and usually appears before tragedy strikes. Just before his accuser, Anne Putnam died she claimed to see Cory in her room. Before the Great Fire of 1914 Cory’s ghost also appeared. Locals believe that Cory likes to show up and watch the people who made his life miserable as they suffer the most. 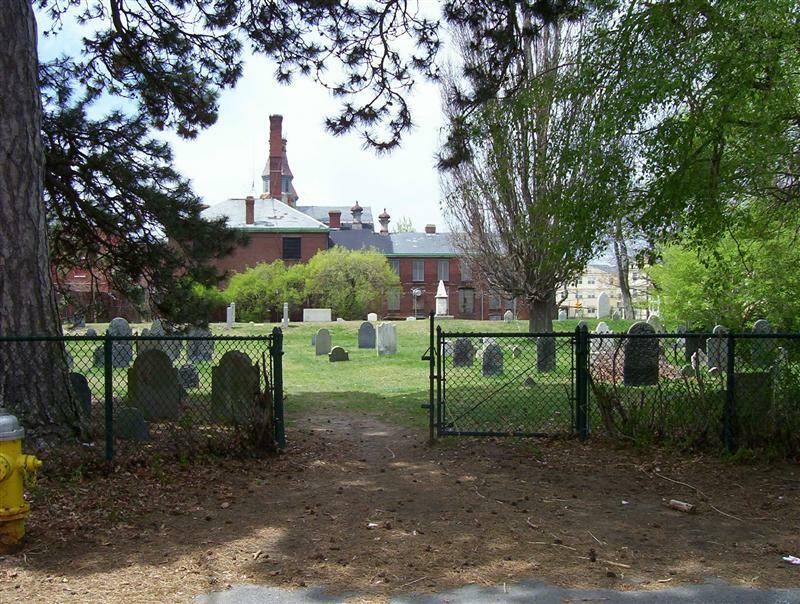 Find out all about the haunted places in Salem with the Salem Ghost Map app in iTunes for only $1.99!